The site and date of origin of Thanksgiving are matters of dispute, with regional claims being made by widely disparate locations in North America. The chief claims are: Saint Augustine, Florida – 1565; Baffin Island, Canada – 1578; Jamestown, Virginia – 1619 and Plymouth, Massachusetts – 1621. In Hawaiʻi, the Makahiki is a form of the “first fruits” festivals common to many cultures throughout the world. It is similar in timing and purpose to Thanksgiving, Oktoberfest and other harvest celebrations. Something similar was observed throughout Polynesia, but it was in pre-contact Hawaiʻi that the festival. Makahiki was celebrated during a designated period of time following the harvesting season. As the year’s harvest was gathered, tributes in the form of goods and produce were given to the chiefs from November through December. It’s not clear when the first western Thanksgiving feast was held in Hawaiʻi, but from all apparent possibilities, the first recorded one took place in Honolulu and was held among the families of the American missionaries from New England. The first Thanksgiving Proclamation in Hawaiʻi appears to have been issued on November 23, 1849, and set the 31st day of December as a date of Thanksgiving. This appeared in ‘The Friend’ on December 1, 1849. The celebratory day of Thanksgiving changed over time. On December 26, 1941 President Roosevelt signed into law a bill making the date of Thanksgiving a matter of federal law, fixing the day as the fourth Thursday of November. Na-Huihui-O-Makaliʻi, “Cluster of Little Eyes” (Makaliʻi) (a faint group of blue-white stars) marks the shoulder of the Taurus (Bull) constellation. Though small and dipper-shaped, it is not the Little Dipper. In Hawaiʻi, the Makahiki is a form of the “first fruits” festivals following the harvest season common to many cultures throughout the world. It is similar in timing and purpose to Thanksgiving, Oktoberfest and other harvest celebrations. Something similar was observed throughout Polynesia, but it was in pre-contact Hawaiʻi that the festival reached its greatest elaboration. As the year’s harvest was gathered, tributes in the form of goods and produce were given to the chiefs from November through December. Various rites of purification and celebration in December and January closed the observance of the Makahiki season. During the special holiday the success of the harvest was commemorated with prayers of praise made to the Creator, ancestral guardians, caretakers of the elements and various deities – particularly Lono. 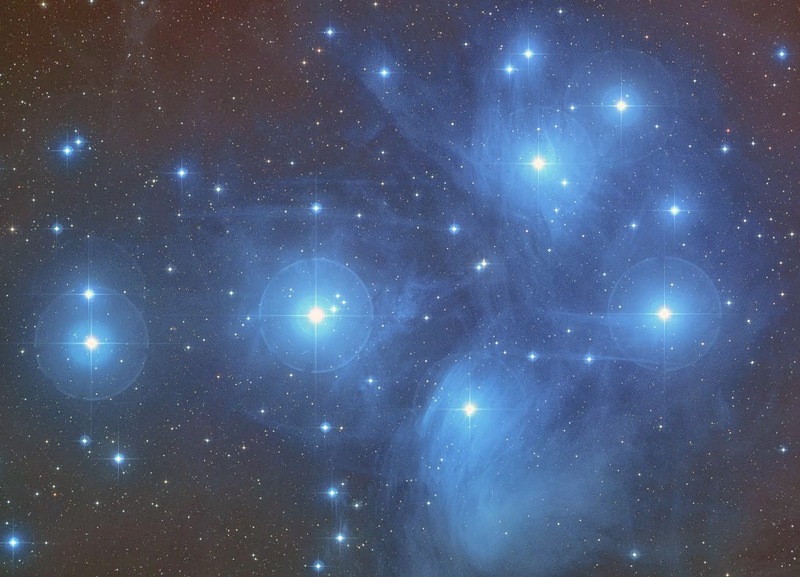 Makaliʻi is also known as the Pleiades; its common name is the Seven Sisters. No one knows when the first western Thanksgiving feast was held in Hawaiʻi, but from all apparent possibilities, the first recorded one took place in Honolulu and was held among the families of the American missionaries from New England. Thanksgiving is a major holiday celebrated in the United States, with origins dating back centuries to Colonial times. The faith of celebrating a harvest of plenty was a dramatic event in early Colonial America, since food supplies were far from dependable. Years of massive starvation were as common as times of plenty. Their celebration of Thanksgiving continues today. Although Native Americans were known to have harvest celebrations for centuries, if not millennia, before arrival of Europeans, the heart of Thanksgiving is a time of sharing the bounty of autumn and celebrating common survival. The site and date of origin of Thanksgiving are matters of great dispute, with regional claims being made by widely disparate locations in North America. The chief claims are: Saint Augustine, Florida – 1565; Baffin Island, Canada – 1578; Jamestown, Virginia – 1619 and Plymouth, Massachusetts – 1621. Tributes in the form of goods and produce were given to the chiefs. Success of the harvest was commemorated with prayers of praise made to the Creator, ancestral guardians, caretakers of the elements and various deities – particularly Lono.